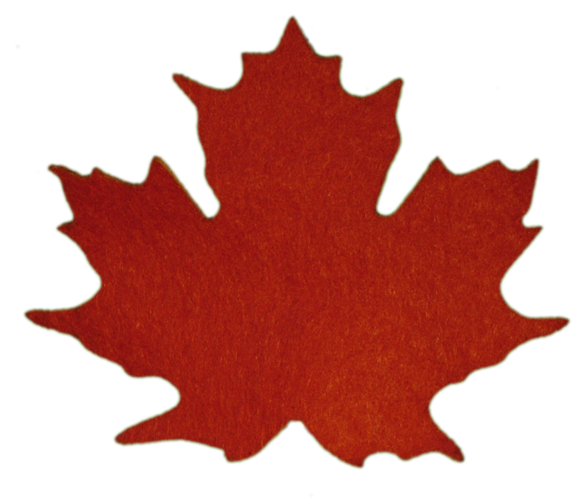 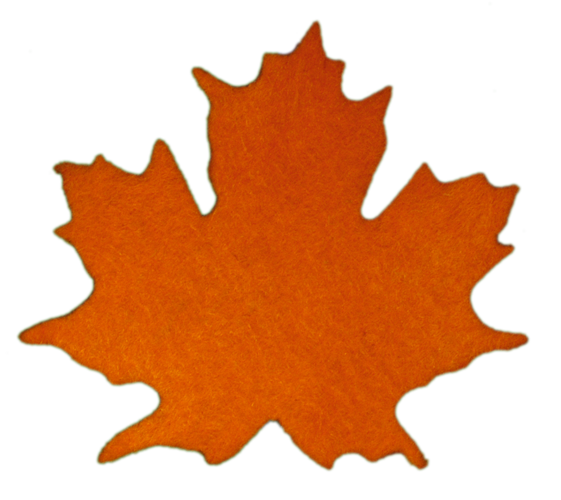 The wool felt sugar maple leaves are designed from the great American sugar maple tree whose sap is tapped in the spring and boiled down into maple syrup. 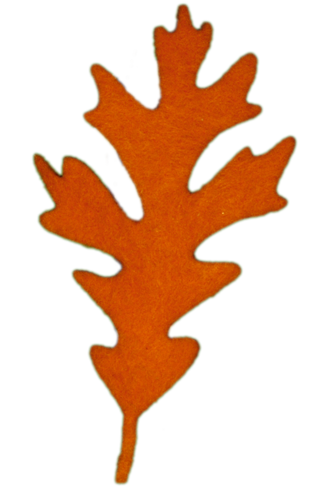 These leaves are great for your own creation. 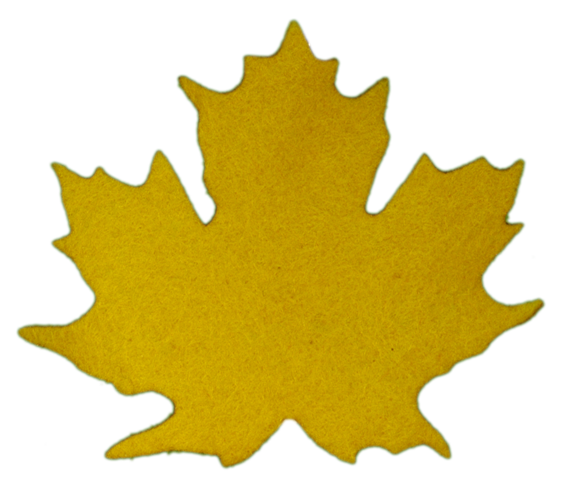 Use them to decorate mats, quilts, and other articles of your own design. 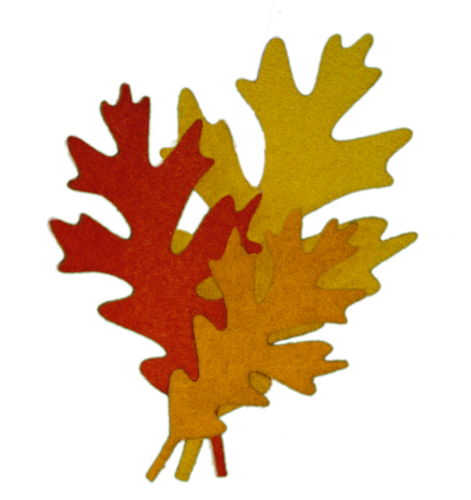 Arrange them loosely for centerpieces on your dining room table. 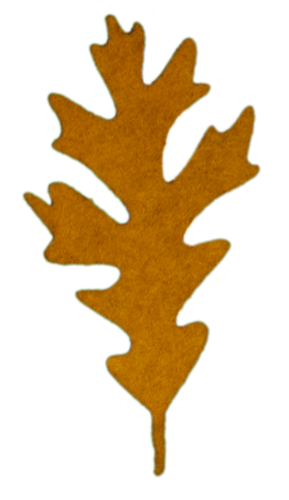 Try stitching them end to end and make garlands for doorways, walls, mirrors, bathrooms, or other places. 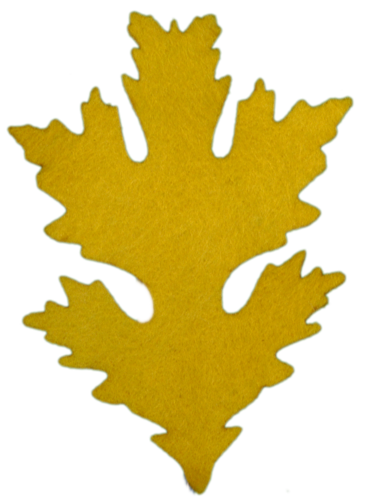 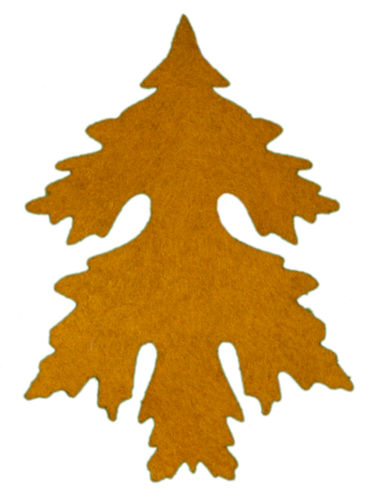 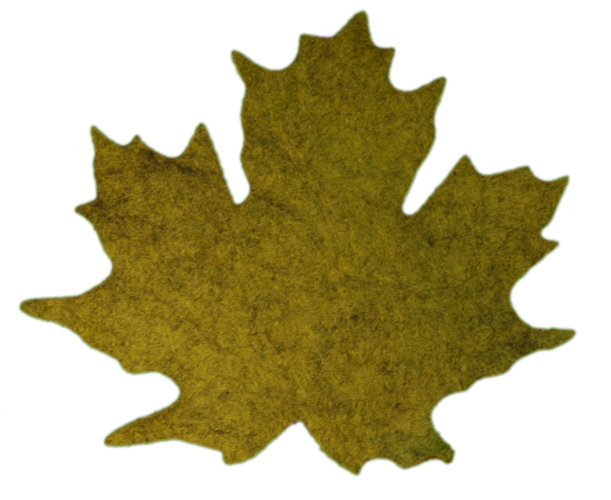 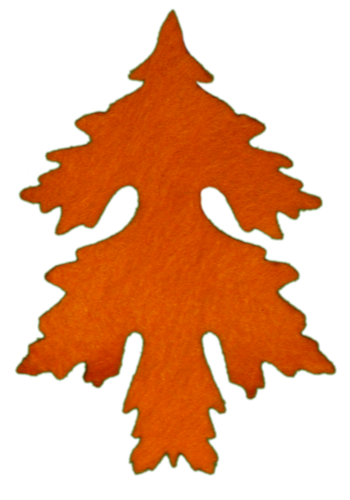 The white oak wool felt leaves are designed from the white oak tree. 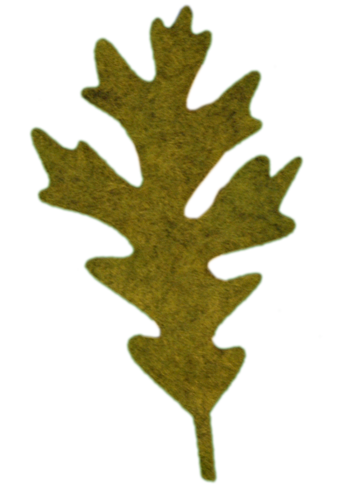 The wood from the white oak is porous which makes it great for making barrels. 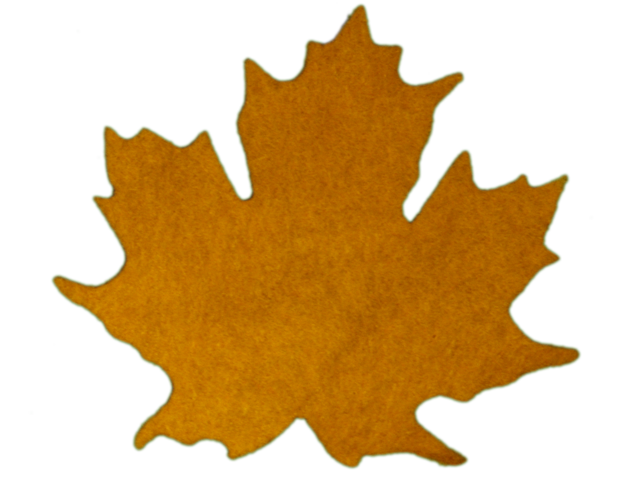 These leaves come in three sizes which can be used either separately or mixed together for your next project. 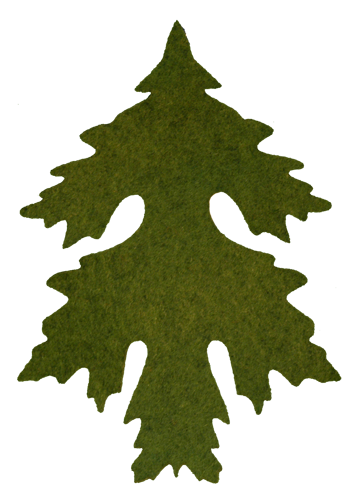 Large leaves are 21⁄4″ × 41⁄4″, medium are 2″ × 31⁄2″, small are 11⁄2″ × 23⁄4″. 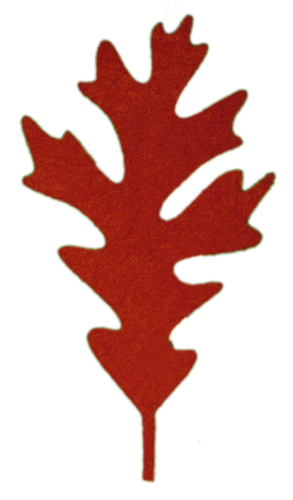 These leaves are designed after a very unique variety of oak. 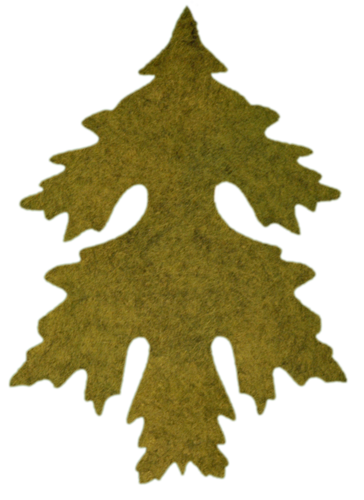 The leaf can be used either as a leaf or as a Christmas tree. 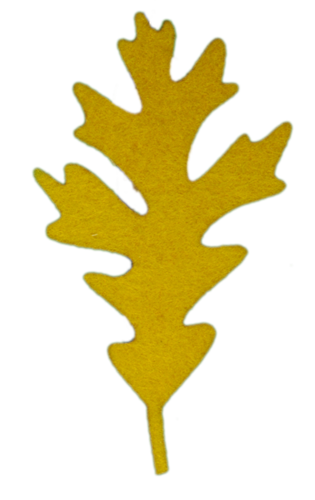 The tips of the leaves are more pointy than the white Oak leaf. 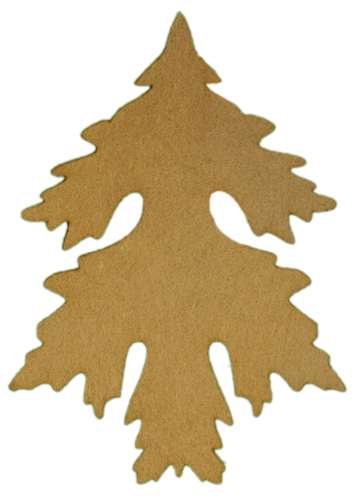 These work particularly well on circular designs with the leaf points in or out.